Tall. dark and mysterious, these elegant beveled cabinet doors will make your kitchen even more worthy of a cooking show. 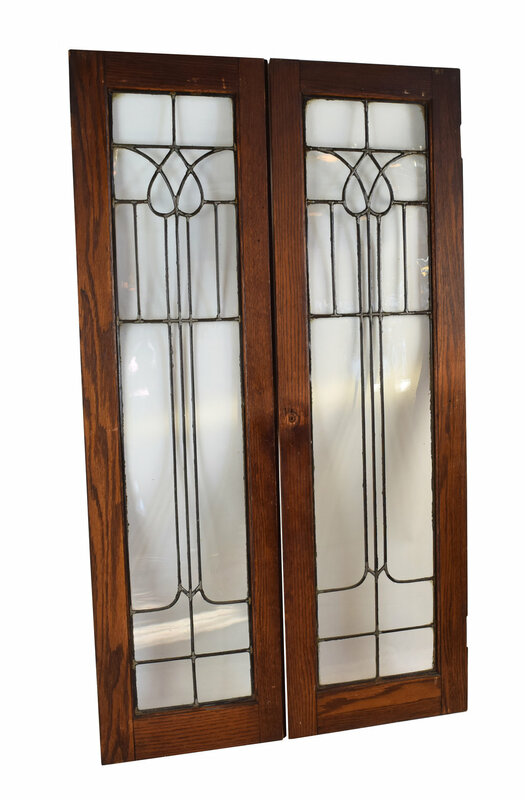 Beautiful wood, beautiful glass, elegant geometric florets on top and tridents on the bottom. 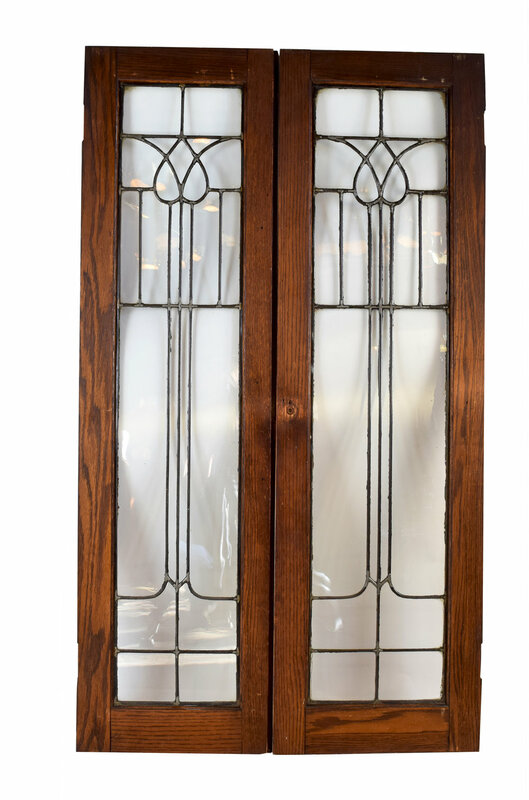 *Please note that although the main photo shows two doors, we only have ONE left in stock!